With the Bank of Canada increasing its benchmark interest rate by 25 basis points on July 11, and the U.S. Federal Reserve on track for a couple more hikes before the end of this year, the cost of borrowing is gradually on the rise. While companies with existing debt will find their balances eaten away by growing inflation, the cost of renewals and new issues will be higher going forward. Rate-sensitive sectors such as telecoms and utilities have already seen their stock prices retreat due to the combination of their heavy debt loads and the declining appeal of their dividends, as low-risk bonds become increasingly viable sources of income. One simple strategy for investors wanting to avoid the risks associated with higher borrowing costs is to look for companies without debt. Following a protracted period of cheap loans, there are not many companies that have resisted the temptation of financial leverage. Let’s take a look at three debt-free stocks with cash on hand to see if a strong investment case can be made for this stock-picking method. PrairieSky manages one of the largest portfolios of royalty lands in Canada, generating income from leasing said lands to oil and gas producers. The company does not engage in exploration, development, or production directly, and instead uses its capital to purchase additional royalty lands or increase distributions to shareholders. As of March 31, 2018, PrairieSky had no debt and $12.1 million in cash. The company is able to stay debt-free because its business model doesn’t require any capital or operating costs; PrairieSky is a high-margin, low-risk company. 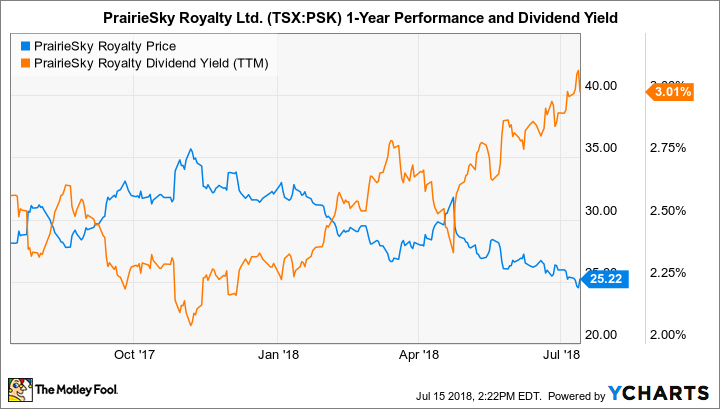 At its current price, PrairieSky is not cheap, trading at a price-to-earnings multiple of around 50 and a price-to-book ratio of just over 2.1. PrairieSky pays a monthly distribution of $0.065, which equates to an annualized yield of a little more than 3%. The dividend was cut by over 40% following the oil shock in 2014-2015, but it has been slowly recovering, adding roughly 4% this April and last. Western is a forestry company with operations in Canada and the United States. With only about 25% of its sales derived from the United States, the company’s sales are internationally geographically diversified. A great deal of Western’s lumber revenue is derived from specialty products, which also insulates it from volatility in commodity lumber. As of March 31, 2018, Western was in a $46.9 million net cash position with zero debt. The company has a strong focus on delivering high-value timbers that provide better margins. Further, Western’s strategic capital deployment emphasizes a smaller number of high-return projects and technology-driven performance improvements. 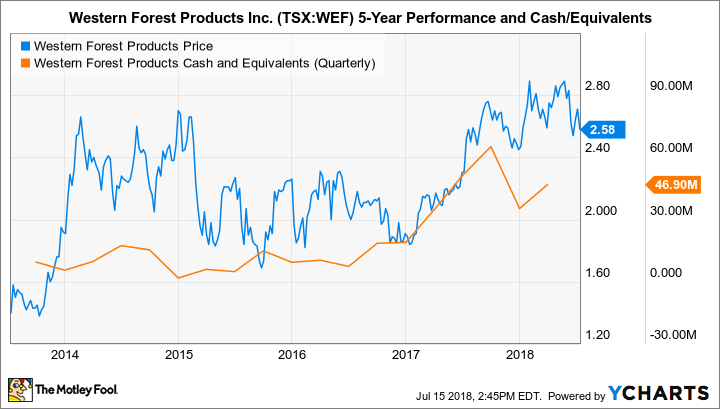 Western offers compelling value, as it trades at a price-to-earnings multiple of less than 14 and a price-to-book ratio of approximately 1.8. The company pays a quarterly dividend of $0.0225 and yields about 3.5%. The June distribution marked the first increase in years to the company’s dividend — the payout grew by roughly 12%. Winpak manufactures and markets packaging machines and materials. The company specializes in packaging for the food, beverage, and healthcare industries. As of April 1, 2018, Winpak had no debt and cash and cash equivalents of around US$300 million. The company also has impressive 10-year average earnings growth in excess of 17%. Winpak is reasonably valued, trading at a price-to-earnings multiple of about 19 compared to the sector median of roughly 18. On a price-to-book basis, the company trades at a ratio of the order of 2.6, while the sector median is around 1.8. 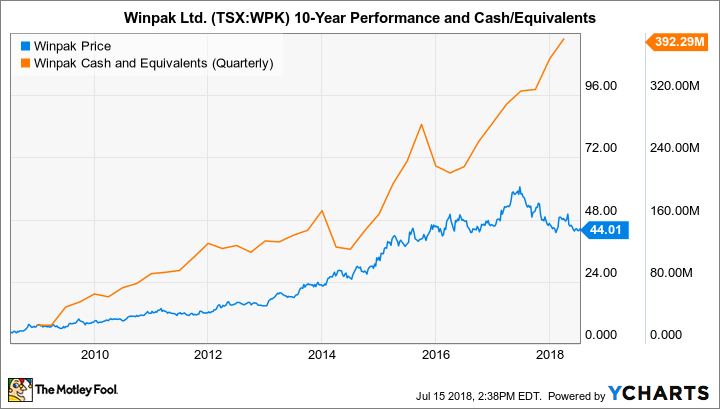 With a quarterly dividend of only $0.03, Winpak offers a meager yield of less than 0.3%. Investors who are skittish about the price of oil will avoid PrairieSky, while those who fear a global trade war will steer clear of Western Forest. Winpak avoids the commodity space and has a beta close to zero, indicating that its performance is not tied to the benchmark. All three of the above companies have generally positive ratings from analysts and consensus price targets that point toward potential upside of over 20%. After years of debt-fueled earnings driving the success of many competitors, it is time for these debt-free stars to shine.